Includes front and rear wheel locking skewers and coded key. Prevents removal of your wheels from your frame. Protects your wheel for a fraction of their replacement cost. Keyed-alike sets can be ordered to protect your other bikes. Quick release locks use a different key than solid axle locks. Pinhead quick release wheel locks protect both front and rear wheels. Once installed, the wheel locks remain permanently on your bicycle, even when you ride. When you need to remove your wheels for servicing, your Pinhead key lets you do this quickly and easily. Pinhead locks cannot be removed with tools such as hammers, pliers, picks, universal socket tools, grinders or bolt cutters. The convex disc technology prevents your wheel from being removed by bike thieves. The locks use a special coded key that comes with each lockset. The key is ergonomically engineered to install and tighten your locks, and also serve as a bottle opener. Each key is different, and comes engraved with a nine-digit code so it can be replaced if lost, direct from Pinhead. With your key code, matching locks can be ordered to protect your other components or other bikes. All components are precision forged from corrosion-resistant CrMo steel and aircraft aluminium alloys. Pinhead locks are unmatched in quality, and backed by lifetime warranty. 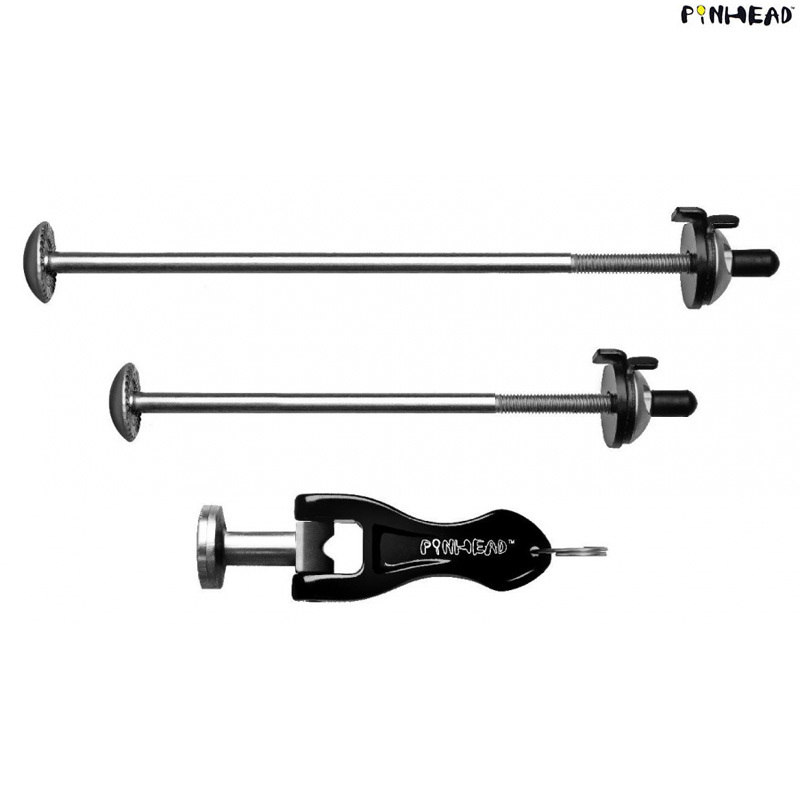 Pinhead Quick-Release 2-Pack Locks for Wheels for Rolhoff? Hi there, will the diameter and length of these Pinheads fit fine in the Rolhoff hub? Regards, Panos. The rear skewer is a suitable size for use with the Rohloff hub.